Using the ultra zoom to capture the random individual in a mass of color. 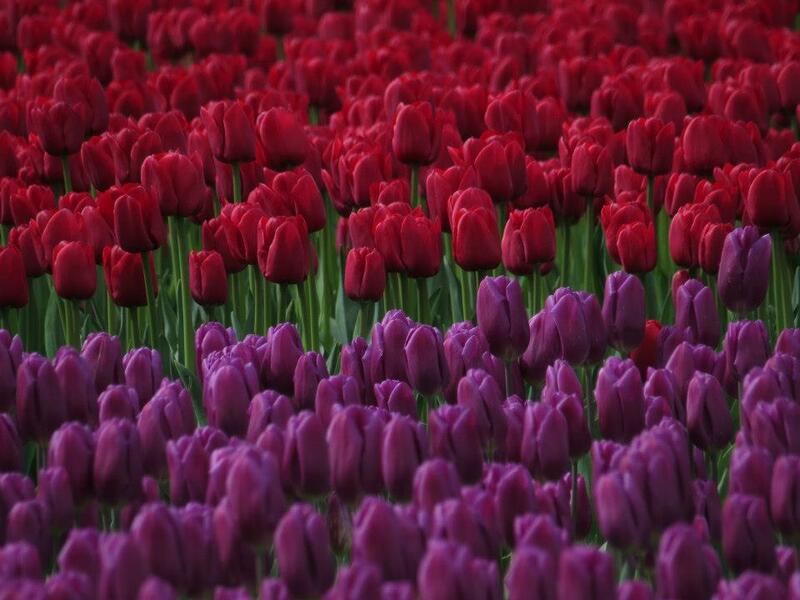 Masses of tulips creating stripes of color. Spent last Monday flower touring in Skagit County. 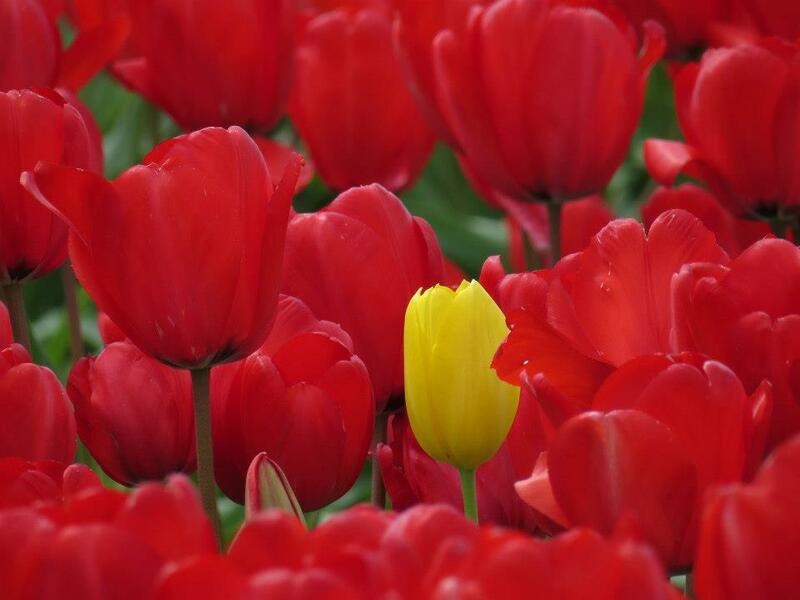 We don’t do it every year, but once in a while, we do go look at the tulip fields in April. I’m not a big fan of tulips in the garden, but when planted by the acre they are quite a sight when in bloom. One of the reasons we wanted to visit the fields is for me to try out my new camera, a Canon SX50 ultra zoom. It’s been fun trying to capture birds with that long zoom, but flowers are much easier! They don’t fly away. Tried some fun angles, using the tilting lcd screen. Played with the aperture priority mode, as well as manual mode. Pretty sophisticated for a point and shoot. Playing with the tilt screen to shoot from very low. We don’t visit the tulip fields every year. They can be pretty crazy, people stopping cars in the middle of the road to view the flowers without having to pay for parking. We did pay for parking, but unfortunately several of the lots were too muddy to park in, so we ended up joining the hordes parking along the roadside. 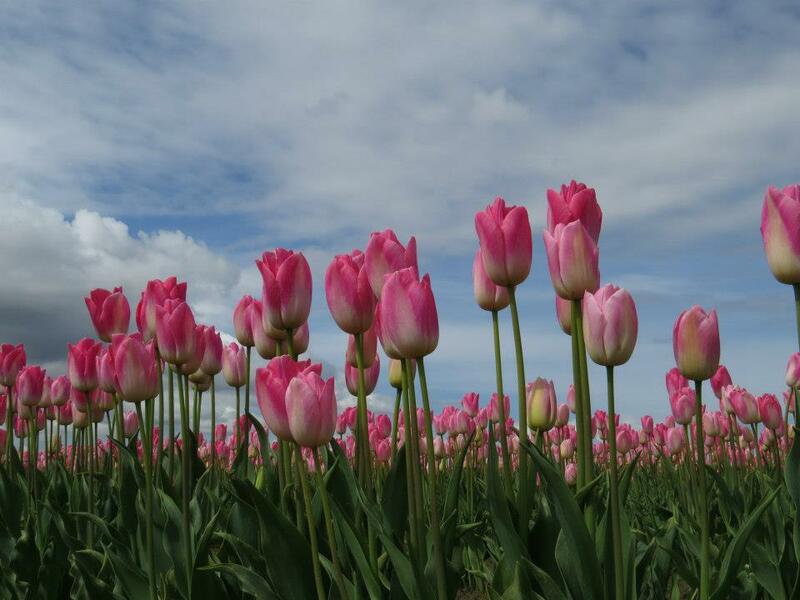 Categories: Flower Walks | Tags: April, flowers, photography, Skagit Valley Tulip Festival, Tulip | Permalink.